A must read! You will fully understand “what makes you tick” and what to do about unwanted attitudes and behaviors. The methods in this book work! Whether this is the first time you sense the desire to grow or have spent years investing in personal growth – if you haven’t found what you are looking for, this book is for you. This book will help you find peace and fulfillment, gain control of your life, and move forward with nothing holding you back from personal, interpersonal and professional success. 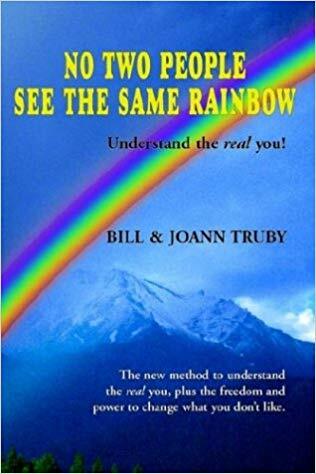 No Two People the Same Rainbow is based on Bill and Joann Truby’s highly successful, 3-day Personal Growth Intensive workshop. Bill Truby, MA, MFCC, is a licensed Marriage and Family Therapist with over 25 years of success in training, consulting and motivational speaking. 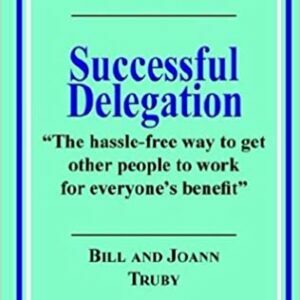 Joann Truby is an intuitive and powerful life-coach, consultant and trainer with over 25 years of experience leading and managing professional teams, as well as mentoring and coaching all levels of individuals. A model of the basic principles that govern and explain how you live life. The seven areas necessary for having a balanced life. How to be completely free from the old “baggage” you have been carrying. How to change the unwanted aspects of your life – for good! Here’s what people are saying about the process you will learn in this book and how it changed their lives for the better. Forever.